IKEA ordered to pay Russian businessman $7.8 million amid fraud allegations | Russian Legal Information Agency (RAPSI). 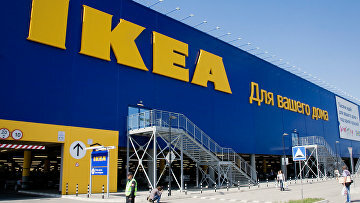 MOSCOW, August 30 (RAPSI) - A court in the Smolensk region ordered IKEA's Russian division IKEA Mos to pay over 507 million rubles (approximately $7.8 million) to businessman Konstantin Ponomarev over rented diesel generators, RIA Novosti reported on Tuesday. IKEA Mos is ordered to pay penalty as it failed to buy out generators, according to the ruling of the court. The ruling was handed down after Joakim Virtanen, former general manager at IKEA division in St. Petersburg, had admitted to giving false testimony against Ponomarev in the case. Virtanen said that he lied to investigators and gave false testimony in court at the request of lawyers who acted on behalf of IKEA Mos. As a result, Alexaner Khokhlov and Semyon Shevchenko who had been hired by IKEA Mos are suspected of pressing witnesses, evidence tampering and procuring perjury. A complaint against the lawyers has been filed with the Prosecutor General’s Office. Moscow City Bar is requested to check the lawyers for breach of Code of Ethics and Professional Conduct. Ponomarev is embroiled in a long-standing dispute with IKEA that opted to rent diesel generators to power its shopping malls in St. Petersburg. Five criminal cases were opened against the businessman at the request of the Swedish retailer. However, a probe over alleged fraud found nothing, and the cases were dropped. As a matter of fact, Ponomarev is one of the key witnesses in the case against Hermitage Capital Management CEO William Browder who stands accused of tax evasion on a large scale in Russia. According to investigators, Browder and Sergei Magnitsky, a Russian lawyer and auditor, set up an illegal scheme to siphon off over 500 million rubles (about $7.7 million). Browder was sentenced in July 2013 to nine years in prison in absentia. Magnitsky, who died in prison in suspicious circumstances, was found guilty of tax evasion in a posthumous trial. 12:32 30/08/2016 A court in the Smolensk region ordered IKEA's Russian division IKEA Mos to pay over 507 million rubles (approximately $7.8 million) to businessman Konstantin Ponomarev over rented diesel generators.